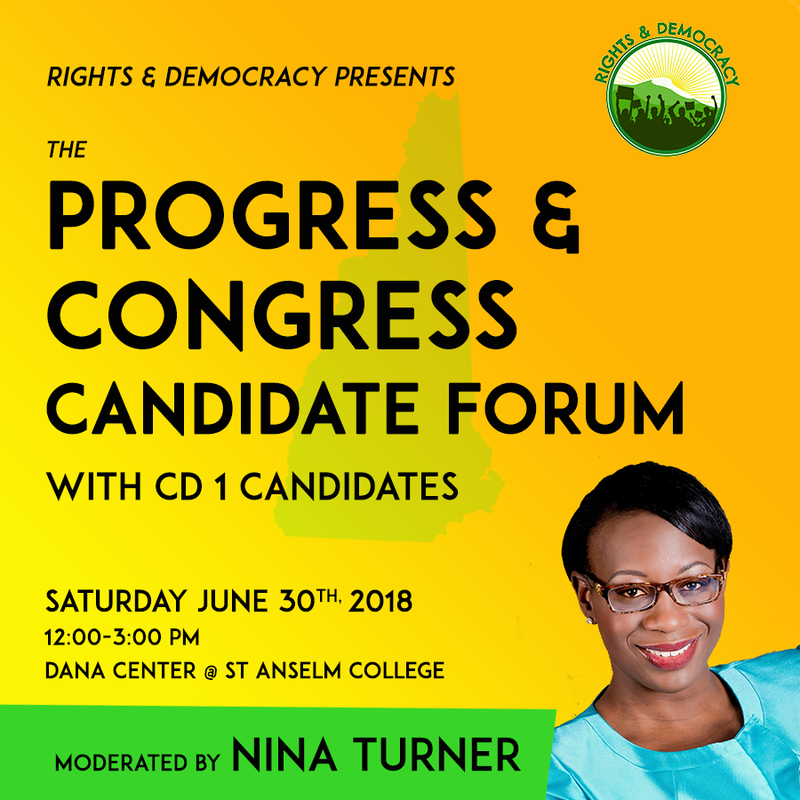 Nina Turner is coming to town! If you've never seen her speak before, you're in for a treat. She will give the opening speech at an event we're calling the Progress & Congress Candidate Forum. Please RSVP to join : radnh.org/progress_congress Rights & Democracy NH is thrilled to announce that we are hosting a candidate forum for congressional candidates in CD 1, and Nina Turner of Our Revolution will be our special guest speaker at the event! Hope to see you there!